This old house has lots of charm, however the floor plans of the past don't always suit our modern routines. 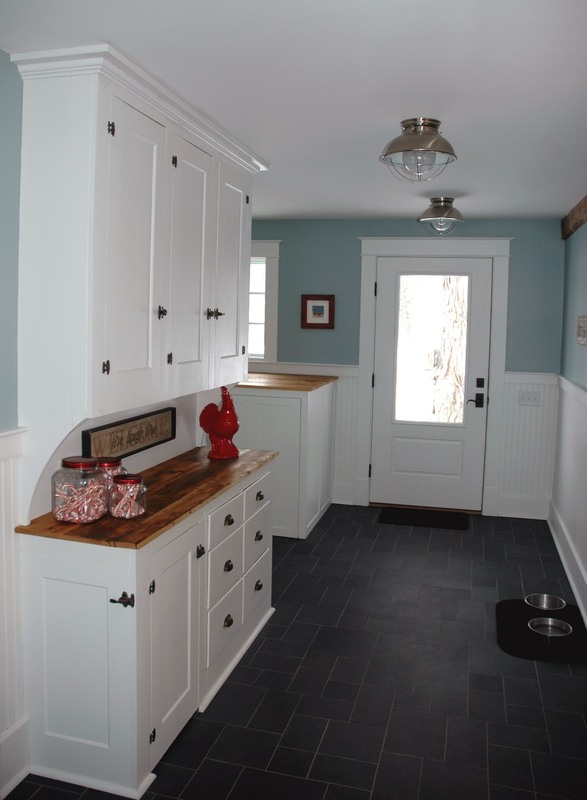 The clients were looking for a functional mudroom/laundry area off from an updated eat-in kitchen. The re-design blends elements of the old with the new. The existing, drafty kitchen windows found a new home separating the mudroom from the banquette. Existing pantry cabinetry was relocated in the entry hall to house the many odds and ends that accumulate in a mudroom. Reclaimed lumber was used for the banquette seats, offering warmth to a crisp and clean aesthetic.